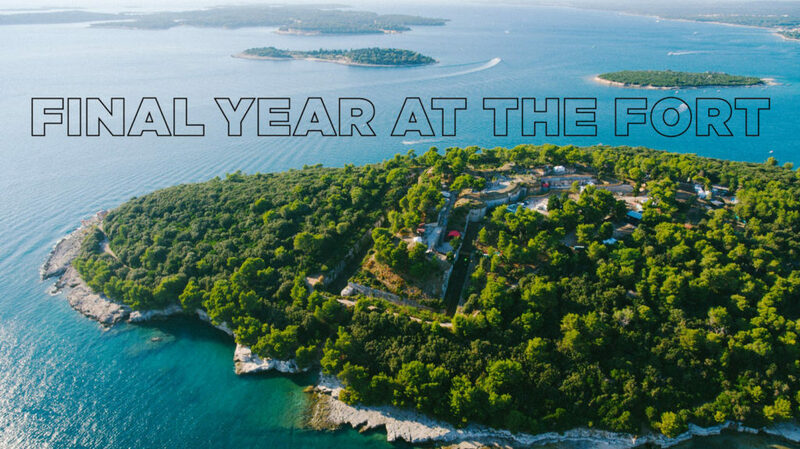 All good things must come to an end and with that being said, 2019 marks the final year that Outlook Festival will be taking place at Fort Punta Christo, Croatia between 4th – 8th September. It has without a doubt been an unbelievable journey on the Adriatic Coast, 12 years and 12 unforgettable parties. With the release of the 2019 line-up, it’s safe to say that this year’s festival is going to be one for the record books and certainly one serious party to remember. Still reminiscing from last year’s week under the sun we can’t wait to get back into the action and what better way to get excited than to drool over the 2019 line-up. The opening concert line-up alone is enough to make anyone run and grab a ticket. 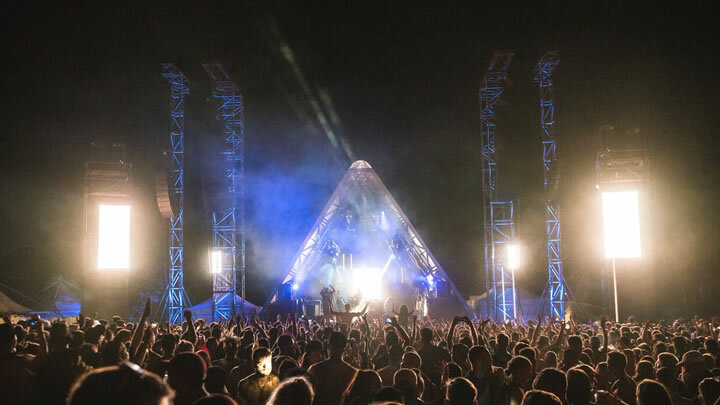 This year’s opening of the festival will be graced with drum & bass royalty, Andy C and Shy FX alongside Loyle Carner, Gentleman’s Dub Club, Flohio and more, proper mouth-watering stuff. On top of this, the main line-up for the festival is looking huge. With a line-up consisting of some absolute heavyweights such as: Chase & Status (RTRNIIJUNGLE DJ Set), Holy Goof, Calibre, Alix Perez, Goldie (Live), Mala, Randall, Enei and many more, and some serious boat party takeovers from: 1985 Music, The North Quarter, Dispatch Recordings Metalheadz and more, 2019 is looking to be an absolute roadblock. 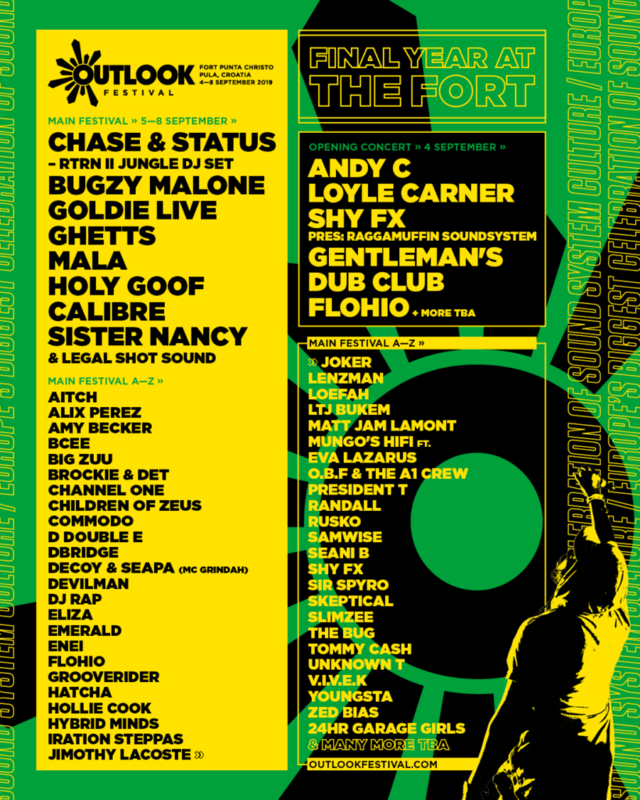 With less than 8 months to go, the countdown for Outlook Festival 2019 is on and we’re sure tickets will be flying out so don’t sleep on this one!